THE BLACK FRIDAY SALE IS COMING! Yes it’s that time of year again, our annual Black Friday sale! Early bird gets the worm. We’ll have exclusive in store specials at 6 am that aren’t listed. DON’T SLEEP…LITERALLY! 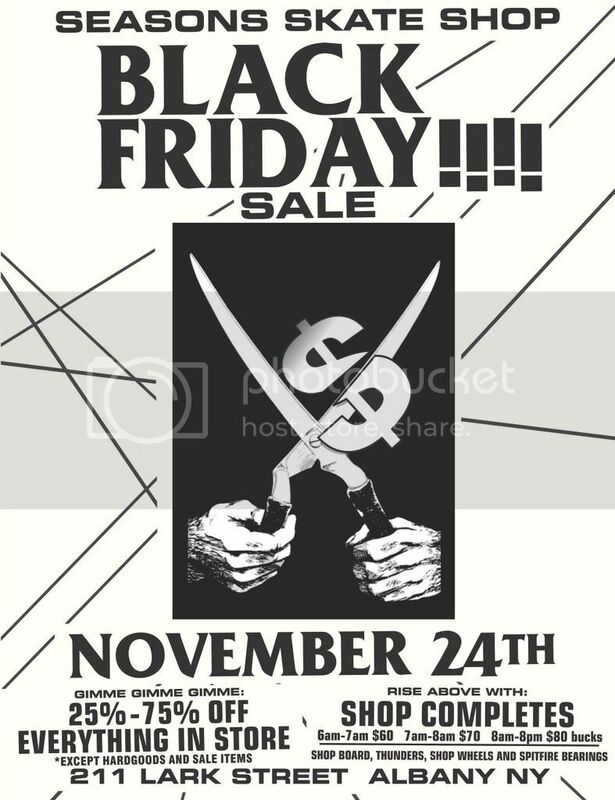 This entry was posted in Featured, News and tagged Albany NY, Black Friday Sale, Seasons, Seasons Skate Shop. Bookmark the permalink.